Baby Pebbles: Baby's First Valentine! Valentine's Day has just past by and I hope you all had a day full of love spent with your loved ones! Excuse the dummy...we cracked on with this craft not long after waking Penelope up as we were in a little rush, Penny rarely wakes up in a mood but this was an occasion where I had a cranky baby (typical). Me and Reese both have been super busy this last month and we'd just got back from Bluestone a day earlier. 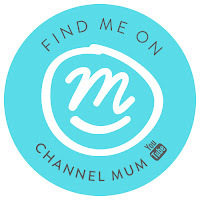 Click Here to see more about that. We hadn't had a moment to go out and buy cards, flowers or any such likeness for eachother. 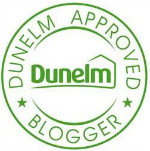 We didn't mind this and decided to just get a Chinese in for dinner and have some chill time together in the evening. It was a lovely day in the end very chilled and well spent with both of my valentines! My man and my little girl, it couldn't of been better. Speaking of a little girl it was Pennys first ever Valentine's Day! Of course we got her involved and we spent the afternoon making a valentine for daddy. I then taped the two together with the cutout heart peice being on the top and stuck it to Penny's high chair. 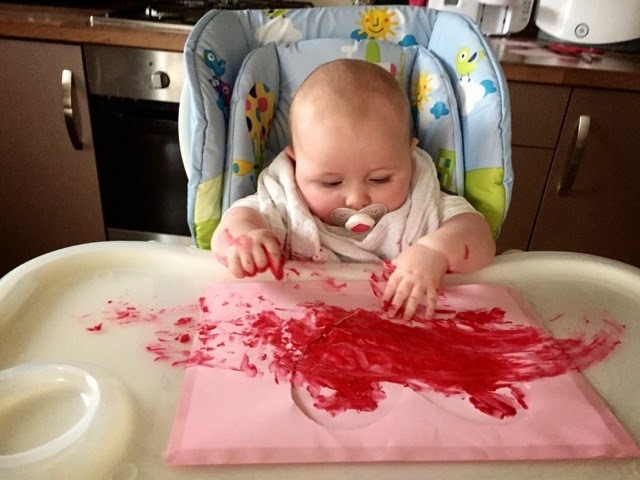 Using a dollop of red paint (babysafe) I then let Penny start her master peice. (I stayed very close by to make sure the paint went no where near her face). She was so good and just cracked in with her painting. After a while and she looked asif she was giving the seal of approval to it being finished. 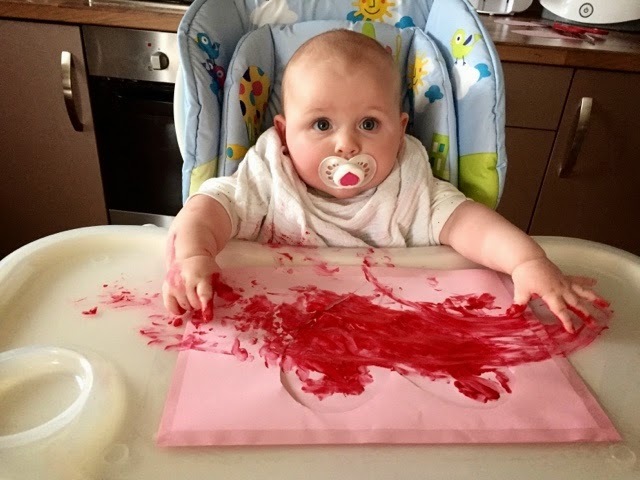 I cleaned up the baby and left the artwork to dry. Once dry I simply peeled off the top peice of cutout paper and voila! 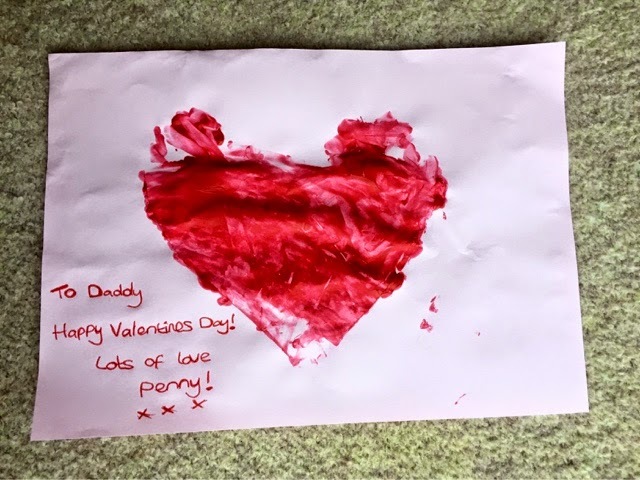 penny had painted a heart for daddy! This is her first ever handmade picture and has taken pride of place on our kitchen cupboard for all to see, daddy loved it and made his thanks to the developing artist!